TORONTO (Apr. 12) — Sorry for the double–entendre, Judy Garland. 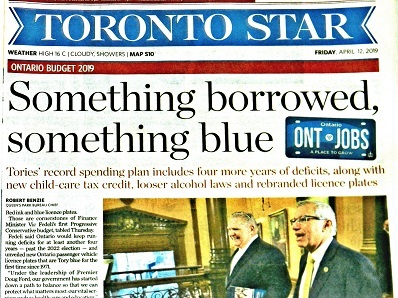 But, it’s undeniable: the Toronto Maple Leafs just love packing up; bidding adieu to family/friends and staying in five–star hotels. It’s been that way since the beginning of October. The second–most–prolific road team (23–12–6) in franchise history made itself at home in the TD Garden Thursday night with an impressive, 4–1 triumph over the Boston Bruins to begin the Stanley Cup playoffs. Only the 2003–04 Toronto club (23–10–8), under the late Pat Quinn, accrued more points while traveling. 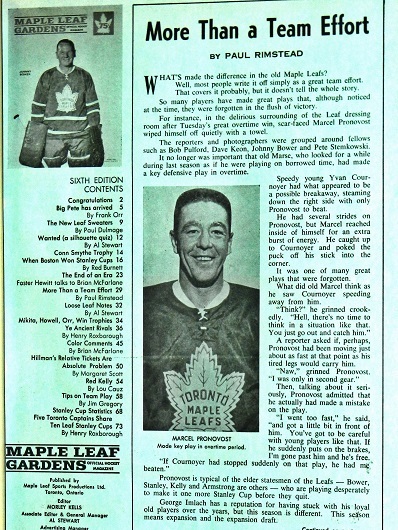 And, as I anticipated in my “Leafs in 6” blog the other day, the young, fleet visitors proved infinitely capable of “flipping the switch” after a languid conclusion to the regular season. Now, we’ll see if the Maple Leafs can win both ends of a best–of–seven on the road to begin a series for the fourth time in the post–expansion era (after 1967). It’s a scenario that’s been rather unfriendly to the Blue and White, resulting in only one series triumph — a four–game sweep of Ottawa in the 2001 opening round. 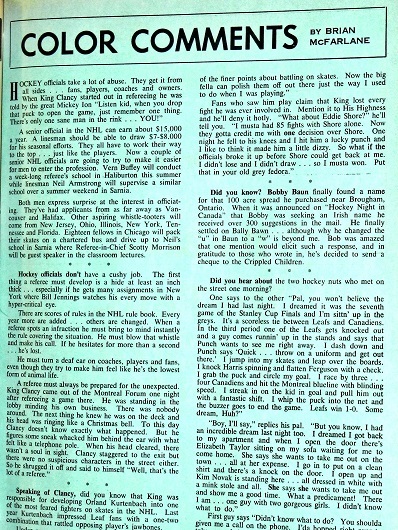 The other three instances ended in defeat: Toronto winning twice at Philadelphia in the 1977 Stanley Cup quarterfinals (then losing in 6); winning twice at Detroit in the 1987 Norris Division final (losing in 7) and twice at the new United Center in Chicago to start the 1995 Western Conference quarterfinal (losing in 7). 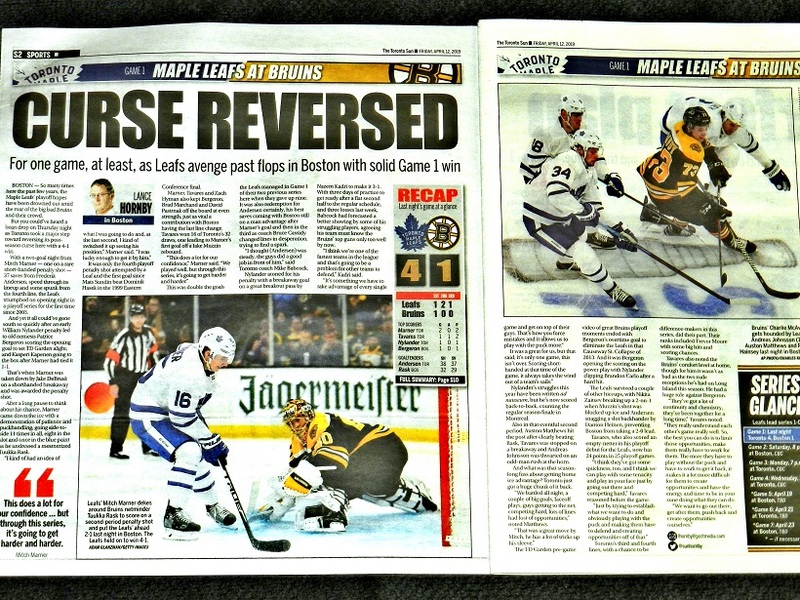 So, maybe a split at TD Garden would better–serve the Maple Leafs in the long run. Whatever the outcome on Saturday night, a hint of home–ice anxiety will surely prevail before Game 3 on Monday. The Leafs lost 16 times in regulation at Scotiabank Arena during the regular schedule; it was clearly the most–inept element of the hockey club. That said — and irrespective of Game 2 in Boston — I’m not expecting a carryover. The angle that prompted me to forecast a Toronto triumph in this series was the team’s potential, in my view, to draw a thick line in the sand between the regular season and playoffs. Which often happens with talented, ascending clubs that have previously failed in the Stanley Cup tournament, as per the Leafs in the opening round the past two years. What I saw in Game 1 — and it didn’t surprise me — was a young, confident team fed up with the past. And, one that undoubtedly had learned from the past. 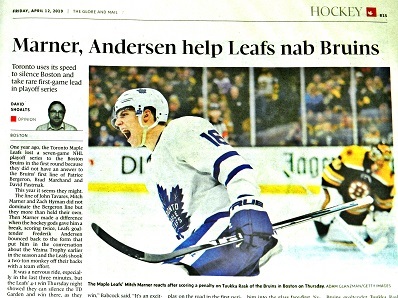 The early powerplay goal by Patrice Bergeron, so typical of the 2013 and 2018 playoff rounds, had no adverse effect on the Leafs. Which is truly a credit to embattled coach Mike Babcock. From that point onward, the visitors owned the puck… and the game. You could see the “forget–about–last–year” demeanor on practically every shift. After Mitch Marner outwitted Tuukka Rask on his penalty shot, it was all Toronto. 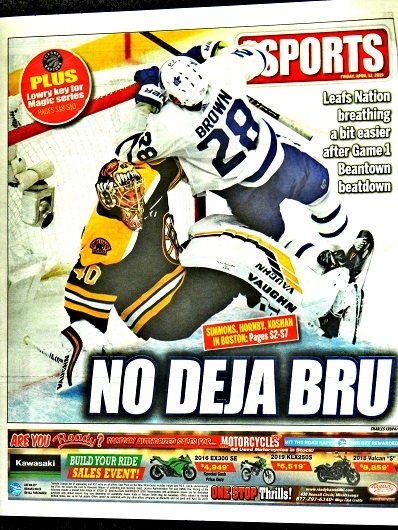 And, I bet no one figured to read that about a Leafs visit to TD Garden. But, of course, let’s not get carried away. This series isn’t a best–of–one, a best–of–three or a best–of–five. The Leafs still have to win three of the remaining six games — which I’m certain has become Babcock’s mantra to his players since the final horn sounded last night. The Bruins, however, must with four of six… an impossible task if they cannot slow the wave–like momentum of the Toronto attack. This is a different Leafs playoff team from the last group that enjoyed a string of prosperity — that guided by Quinn between 1999 and 2004. In the early years of the millennium, the Leafs relied as much on muscle as they did speed and finesse; that’s how the game was played back then (Shayne Corson, Darcy Tucker, Tie Domi, Gary Roberts, Dmitry Yushkevich; even the late Wade Belak, who contributed to the 2002 club). Today, with the center red–line no longer a factor in head–manning the puck, it’s about stretch–passing, skating and sharp passing in the offensive zone. Speed and skill dominate the NHL, and the Leafs have graduated to the forefront of such a blueprint. They are faster than the more–experienced Bruins and it’s up to Bruce Cassidy to formulate a counteractive game–plan for the second match. 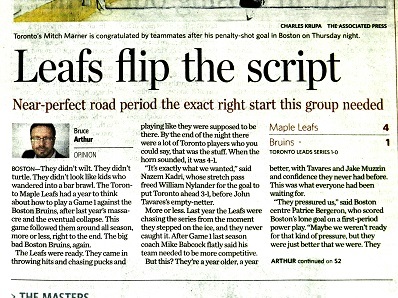 The Leafs simply need to perform as they did in the opener. 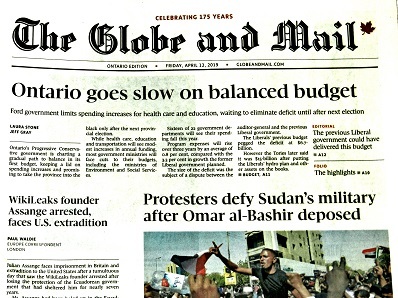 Strange though it may seem, it is Boston having to adjust to Toronto. For now, anyway. Fifteen nights from now — on Apr. 27 — the second round of the Stanley Cup playoffs will be getting underway, with still nearly 1½ months until the big prize is awarded. 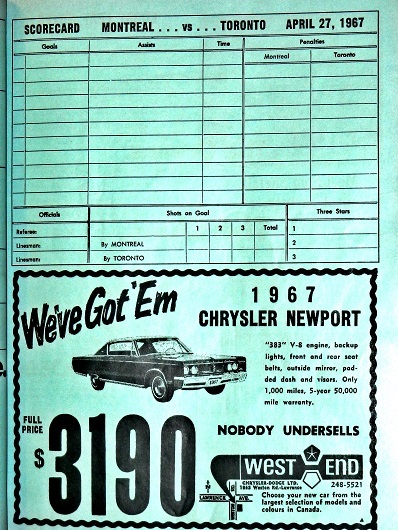 Fifty–two years ago, Apr. 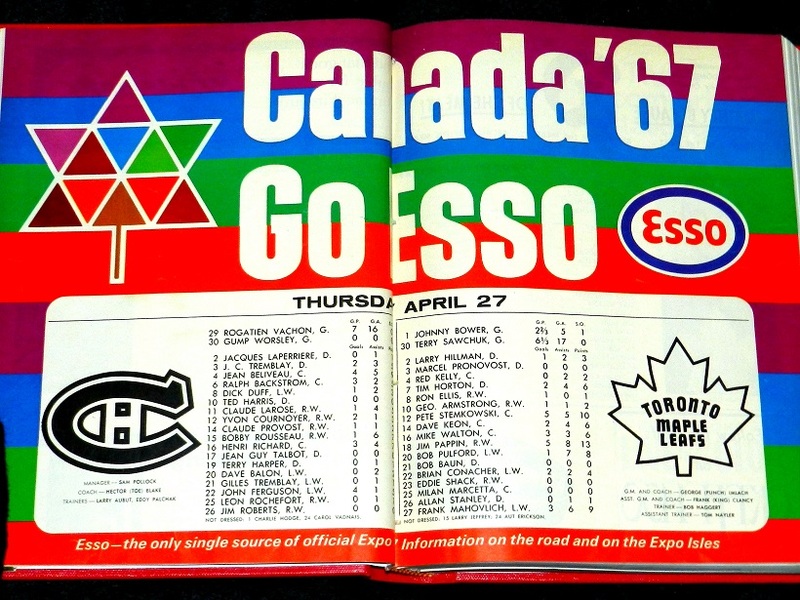 27 coincided with Game 4 of the 1967 Stanley Cup final at Maple Leaf Gardens. Toronto led Montreal 2–1 in the best–of–seven series only to absorb a 6–2 pounding on Carlton St. But, the Canadiens would not win again. 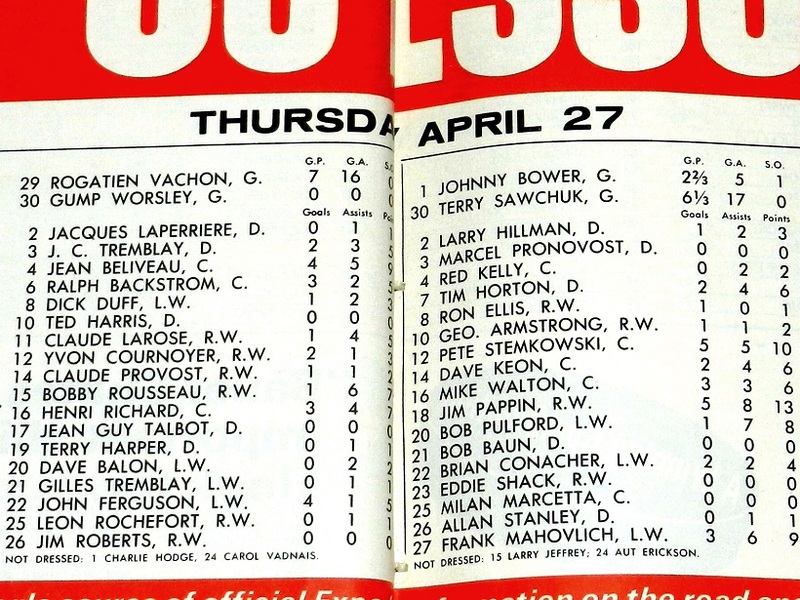 Five nights later (May 2), after a Game 5 triumph at the Montreal Forum, the Leafs captured the last National Hockey League championship of the pre–expansion era. This program, in my collection, is from Game 4. 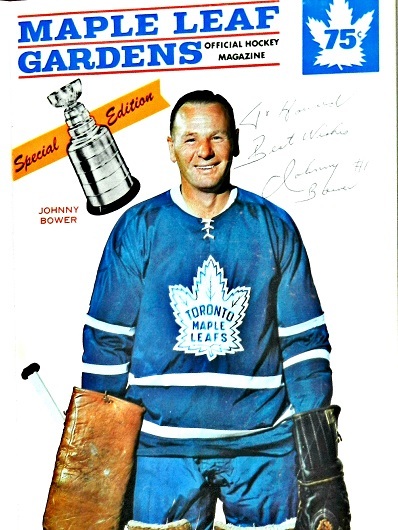 Johnny Bower graced the cover and he signed the magazine to me in May 2016,19 months before he died. On that very day (Apr. 27, 1967), the World’s Fair, known as Expo 67, began on Ile Notre–Dame in Montreal.